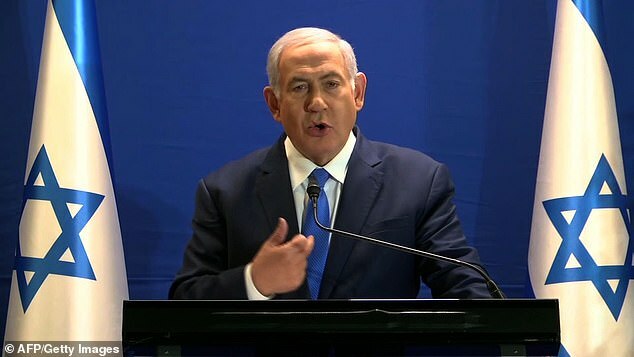 Prime Minister Benjamin Netanyahu demanded a face-to-face meeting the witnesses in his three corruption cases during a televised statement today. Mr Netanyahu said that he has previously insisted upon a meeting with the state’s witnesses to ‘look them in the eye and show them the truth’, but his requests were denied. He used the prime-time address to again dismiss a series of corruption allegations against him, in what was billed as a ‘dramatic announcement’. Mr Netanyahu said it would be ‘unjust’ for him to be indicted ahead of early elections called for on April 9 without a chance to respond to the claims against him. He said authorities had denied his requests to confront state witnesses in person, and he offered to do so on live television. ‘What are they afraid of? What do they have to hide?’ he said. Police have recommended indicting Mr Netanyahu on an array of charges stemming from three corruption investigations, but it falls to his hand-picked attorney general, Avichai Mandelblit, to decide whether to bring charges. The premier has denied any wrongdoing and branded the investigations a ‘witch hunt’ orchestrated by his political opponents and a hostile media. He has said he will not give up his re-election campaign or resign from office if indicted. The Israeli media scrambled to cover his address on Monday, running it live on all major stations, only to have commentators widely dismiss the brief address as a ploy by the prime minister to again attack the investigation. In a terse statement, the Justice Ministry defended its probes, saying they had been handled professionally. ‘In a normal country, the prime minister would not behave in such a way. Last month, police recommended indicting Mr Netanyahu on bribery charges, saying they believed he had used his connections with the controlling shareholder of Israel’s telecom giant Bezeq to promote regulatory changes worth hundreds of millions of pounds in exchange for positive press coverage on Bezeq’s popular news site Walla. Police said they believed there was sufficient evidence to charge him and his wife Sara with accepting bribes, fraud and breach of trust. Police have also recommended corruption charges in two other cases. One involves accepting gifts from billionaire friends, and the second revolves around alleged offers of advantageous legislation for a major newspaper in return for favourable coverage. During the investigations, three former senior aides to Mr Netanyahu have turned state witnesses against him. He said on Monday he was ‘certain of my innocence’. ‘I request to confront all the witnesses who stated things that don’t align with my position, the truth,’ he said. Chairwoman of Meretz, Tamar Zandberg, has since hit out at Mr Netanyahu and said that the only thing ‘dramatic’ is that he remains as Prime Minsiter while there are three recommends to indict him for bribery. She added that he is no longer fit to purpose his role. 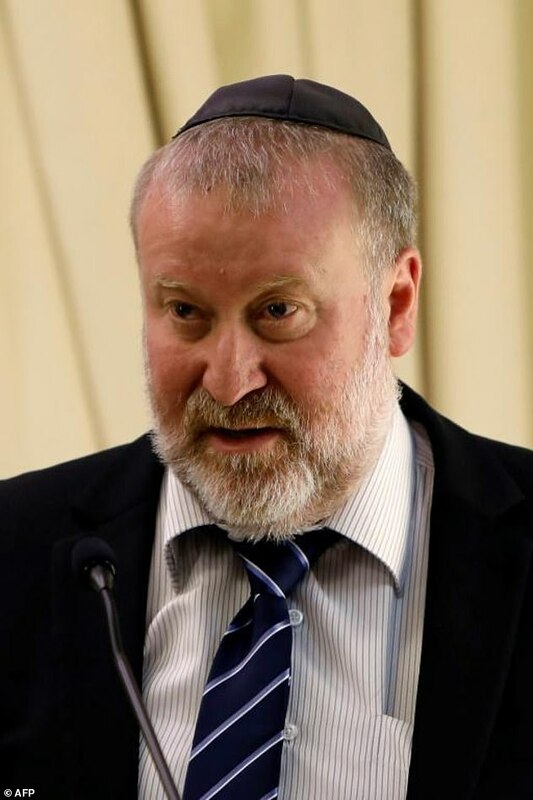 Meanwhile, opposition leader Shelly Yachimovich said that Mr Netanyahu’s address was a ‘cynical and pathetic’ elections speech from someone who is trying to dodge the justice system.